Charlie Sheen got one hell of a wake up call this morning when an operator from an OnStar-like service called to inform him that his SUV had crashed. Law enforcement sources tell TMZ Sheen got the call around 4AM when his remote diagnostics company received an alert that the car had been involved in a wreck and the airbags had deployed. 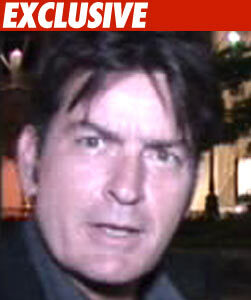 We're told Sheen alerted his security team who inspected the home and confirmed that the car had been stolen. Cops later found the wrecked SUV 100 feet down Mulholland Drive. We're told the L.A. Fire Department used an infrared scanner to search for any victims, but the search came up empty. Cops are still hunting for a suspect.